Doctors have started to come around to the idea that hidden bacteria and viruses in the body can affect our mental health and, over the long term, contribute to diseases like dementia and Alzheimer’s. But a case study out this week is the latest to suggest that certain germs can cause much more immediate and frightening mental health problems. The case study, published in the Journal of Central Nervous System Disease, details a 14-year-old boy who suddenly lost his grip on reality—and the 18-month nightmare he and his family went through before doctors finally found the still-mysterious cause of his breakdown. According to the case report, the boy was a gifted and socially active student prior to his symptoms. But in October 2015, he became psychotic, depressed, and even homicidal and suicidal. That same month, he was admitted for emergency psychiatric care at a local hospital. Despite seeing several psychiatrists and doctors, he continued to mentally deteriorate and was hospitalized three more times over the next year and a half. He could no longer attend school, and his mother eventually quit her job to take care of him full time. He suffered hallucinations and delusions that sent him into explosive rages. He often expressed fear that his pets—two cats and a dog—would kill him, so the family was forced to get rid of them. “Honestly, as a veterinarian, that was one of the saddest parts to hear,” lead author Ed Breitschwerdt, a veterinary internist at North Carolina State University, told Gizmodo. The “stretch mark” lesions that finally unraveled the boy’s mystery ailment, photographed in February 2017. Though he was soon diagnosed with schizophrenia, the antipsychotics he took did little to help. By 2016, a doctor suspected he could have had autoimmune encephalitis, a condition where the body’s immune cells attack the brain. But the immunosuppressants he was given also failed to improve his situation much. That same year, his parents noticed seemingly unrelated lesions along the boy’s thighs and armpits that looked like stretch marks. It wasn’t until seven months later, in February 2017, that another doctor suspected that the boy’s lesions and his mental symptoms were caused by the same thing—an infection by a kind of bacteria called Bartonella. Despite the diagnosis, it was still unclear whether the antibiotic treatment was working. The boy’s father eventually contacted Breitschwerdt and his colleagues at North Carolina State University. The team was able to isolate a specific species of the bacteria, Bartonella henselae, in the boy’s bloodstream, and he was given more antibiotics. The boy’s recovery wasn’t easy, as he endured months of antibiotic therapy and complications that left him in excruciating pain, along with another hospitalization for drug-related complications that summer. But by September 2017, two years after his symptoms began and after his family had racked up $400,000 in medical bills, he was well enough to return to school. By the next spring, he had regained his mental prowess, scoring A’s in all his classes. And according to Breitschwerdt, he’s since made a complete recovery. “Per an email from the boy’s father I just got yesterday, he’s doing absolutely great,” Breitschwerdt said. Breitschwerdt is one of the few scientists to have studied Bartonella closely. And he said the boy’s case, as happy as it turned out, should serve as an important warning that the bacteria is more dangerous than commonly thought. The rod-shaped Bartonella are strange even among bacteria. They usually set up shop in blood vessels, where they take a page from viruses, invading other cells to reproduce. This uncanny ability to hide in cells might have also hampered doctors’ attempts to detect and treat the bacteria in the boy’s case. Over time, scientists like Breitschwerdt have discovered at least 30 different species of Bartonella, including more than a dozen that can infect people. The most well-known species, and the one found in the boy, is B. henselae. 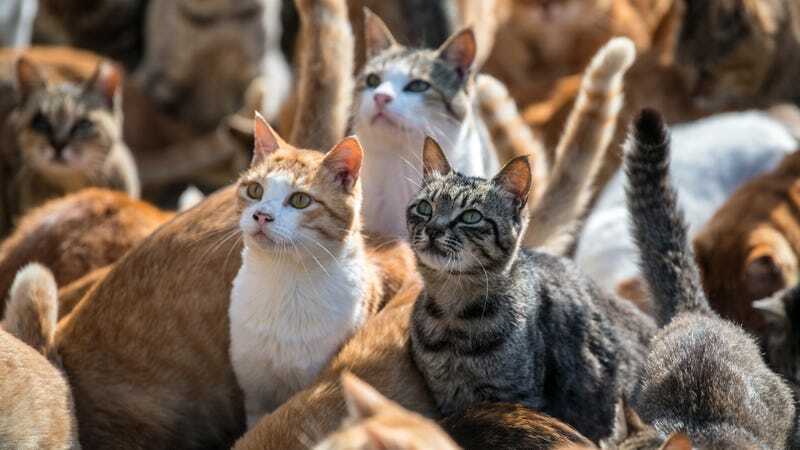 In humans, B. henselae is blamed for a usually mild illness called cat-scratch disease, with symptoms of fever, swollen lymph nodes and fatigue that typically clear up within a month’s time, even without antibiotics. But Breitschwerdt said there’s emerging evidence showing that B. henselae and other Bartonella species can sometimes cause much more serious problems in people, including the nervous system damage that likely brought on the boy’s symptoms. Other studies have linked serious heart infections and eye disorders to Bartonella, as well as chronic fatigue. “Our publication and the research being done in a few laboratories is starting to emphasize that this is an extremely important genus of bacteria that has gone historically under-recognized, and that it could potentially be causing a tremendous amount of undiagnosed disease worldwide,” said Breitschwerdt. Since there’s been relatively little research on Bartonella, though, there are still a lot of unanswered questions. Species of Bartonella are found in animals virtually everywhere in the world. And though cats and dogs can be a natural reservoir for some species and give it to us through their bites and scratches, it can also spread through insect and tick bites (in the boy’s case, Breitschwerdt listed a half dozen ways he could have contracted it, including from his pets or from a visit to a farm). But we don’t know how often we’re getting exposed to Bartonella, and we don’t know how often—or even how exactly—it can cause these schizophrenia-like symptoms. Bartonella isn’t the only germ that’s been linked to sudden cases of psychosis and mental illness in young people either, a condition now known as pediatric acute-onset neuropsychiatric syndrome, or PANS. To this end, Breitschwerdt hopes this case gets the medical community’s attention and sparks more research and funding into studying Bartonella. The boy’s case is also part of an upcoming study by Breitschwerdt that aims to estimate how often Bartonella can be found in the blood of certain populations, including healthy and sick people.